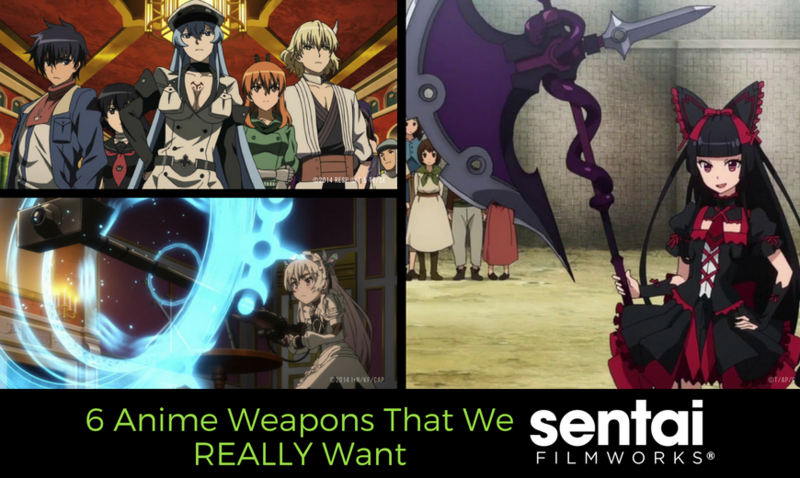 As every anime fan knows, the medium is full of stunning explosions, extreme hair styles, and astonishing clothing designs, but anime gets particularly imaginative when it turns its attention to weapons. Sometimes, characters are so connected to a weapon that they’re rarely seen without it. Such is the case with quite a few of the anime weapons we have in our anime bunker! Among the other mysteries surrounding her, Chaika Trabant lugs around a conspicuous coffin. Inside is a Gundo Sniper Rifle, a gun that allows her to cast explosively powerful spells. This sort of weapon comes in handy when on a dangerous quest that could once more bring chaos to an already war-torn land. 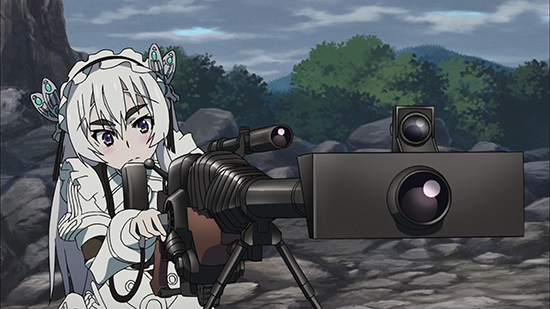 No matter what, Chaika can hold her own with this weapon, be it against people or bloodthirsty unicorns. Yes, you read that correctly. Hakuoro is a mysterious character, but there’s nothing mysterious about the way he can wreck it when he’s got his trusty weapon in his hand. What looks like a simple metal fan can be used as both a bludgeon, shield, sharp edge, and symbol of power. The fan even makes it’s appearance in the second series in the franchise: Utawarerumono: The False Faces. Bell Cranel is a special case among adventurers for multiple reasons, including the fact that he’s the Hestia Familia’s only member, and that he levels up at an alarming speed. 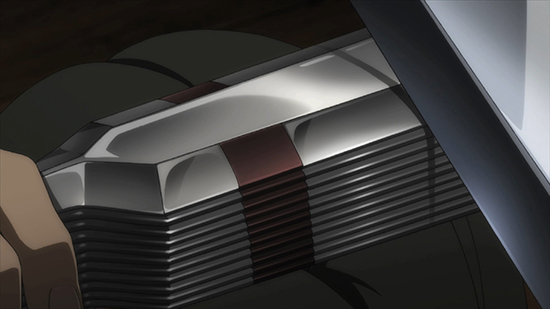 Worried about him due to his sudden growth, Hestia commissions this knife from Hephaestus. 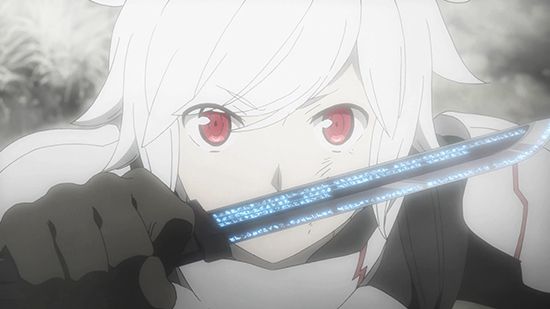 Bound to Bell, the knife only reacts to him and, due to Hestia’s wishes, will grow alongside Bell according to his status. The legendary Beast Spear has more than a few secrets that come crashing down in full force around Ushio as this action-packed show progresses. 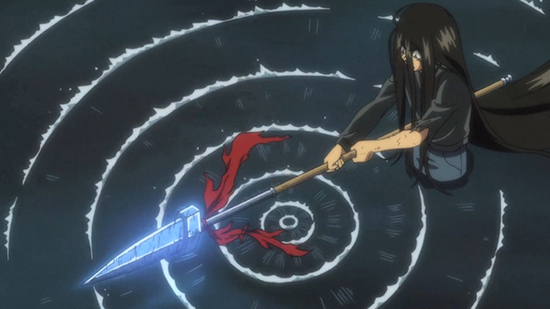 When activated, the spear gives its weilder a long-haired beast form with enhanced physical abilities, making the spear one being with its holder. It’s a terrifying force fuelded by hatred with the strength to make even Hakumen no Mono, the embodiment of fear, feel fear itself. 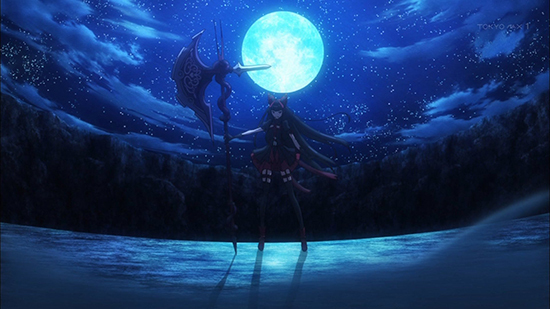 With an unmatched thirst for battle, Rory Mercury is a demigoddess apostle to Emroy, the god of everything from darkness to insanity. It is no surprise, then, that her deity patterns her every day ideals, especially those that govern killing. The act of taking a life in battle is not so much murder to Rory, but an act of survival and even (in a sense) praise to her god. To Rory, killing is a necessity, albeit one she enjoys. This is mirrored in her intricate and beautiful weapon, one that is as strong as her dedication; this elaborate and massive war axe clashes with her small stature, but simultaneously alludes to her inner strength. The Imperial Arms could have made this entire list. 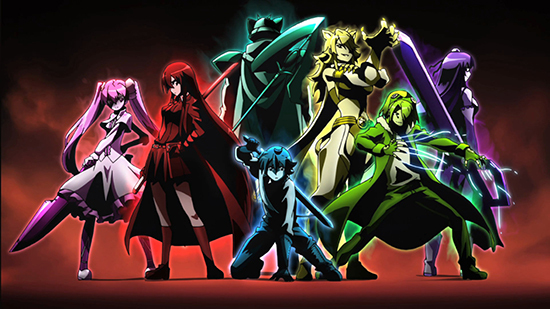 There’s so many of these awesome anime weapons in Akame ga Kill!, and we couldn’t pick just a few, so we settled for picking all of them! From titular character Akame’s single slice killer, Murasame, to the overpowered flamethrower Rubicante, if you’re into impressive and unique weaponry, this is the show for you (Esdeath DRANK her Imperial Arms!). Through even the most painful trials and quests, battling monsters and demons and who knows what else, these weapons will certainly come in handy! 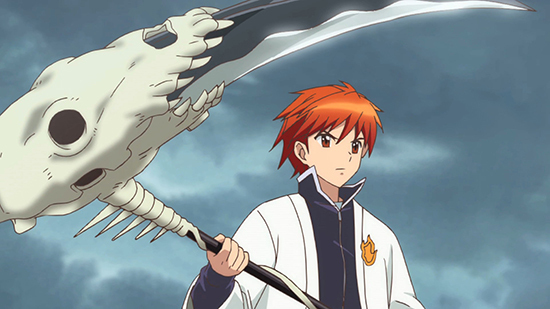 We know it’s tough to choose only one, but what’s your favorite anime weapon? Let us know via Facebook, Twitter, Tumblr, and Google+! rin-ne is it wrong to try to pick up girls in a dungeon? ushio and tora gate utawarerumono the false faces utawarerumono danmachi chaika the coffin princess akame ga kill!